Today I have come up with yet another mouth watering Anchovies recipe. 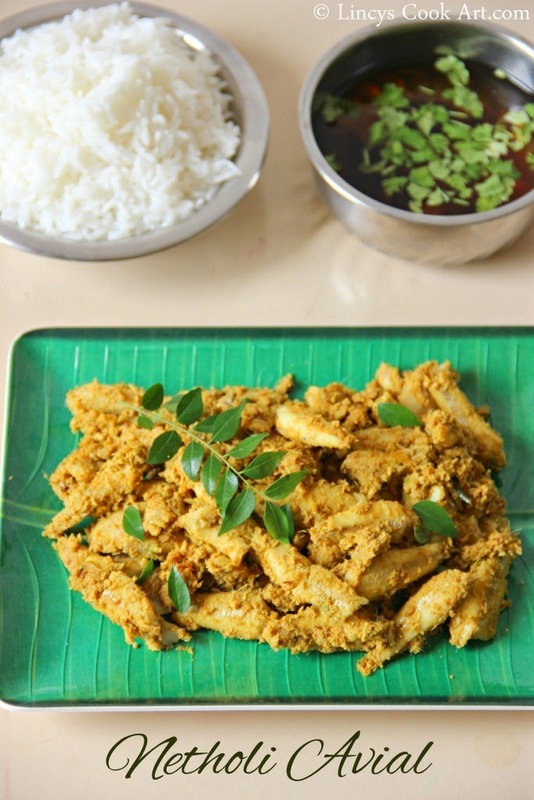 This Avial is basically prepared in crushed coconut masala, flavoured with curry leaves. Tamarind water is added to get the tanginess in this recipe. You can replace tamarind with mangoes or tomatoes if you like. Simple yet delicious preparation. I like anchovies because it cooks fast in no time, and is also a fish that has so much of healthy nutrients in it. Soak tamarind in quarter cup of water. Grind coconut, onion, green chillis, garlic and jeera as a coarse paste. In a pan add the tamarind water, turmeric with chilli powder and salt; allow to boil. when it starts to reduce add the fish and mix well. Once the fish's colour starts to change to white add the ground coconut masala and mix well. Close the pan with a lid and cook till the water from the masala completely evaporates (in between open lid and gently stir the masala to cook evenly). Add a teaspoon of coconut oil and sprinkle with curry leaves and switch off the gas. I do it in the same way dear, but never tried adding garlic and cumin...your presentation looks delicious and inviting dear :) Lip smacking nethili avial !! Delicious dish. Love the colors. 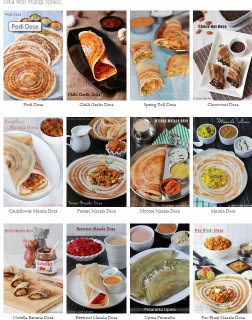 Who will say no to this irresistible nethili avial, definitely not me..
delicious nethili avial, love it!! !